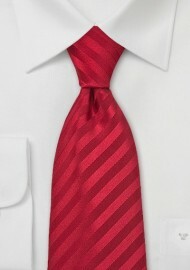 Add some brightness to your gray and navy suits with this ruby-red tie by designer Parsley. 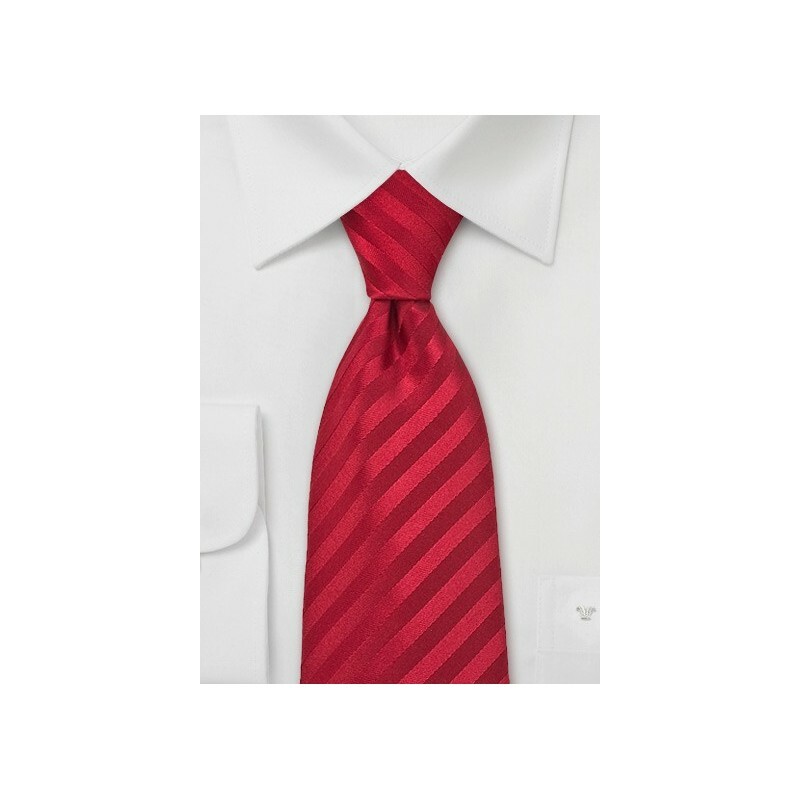 Handcrafted from finest sateen silk, and made with a monochromatic striped design, this tie is the ultimate attention grabber (in a good way that is). Please note that this tie is made in long length. It is 6 inches longer compared to a regular sized tie, and will fit men from 6 foot 3 inches to 6 foot 8 inches tall. Handmade from 100% silk.